Stipple brush can be used to get that airbrushed look. It can also be used to apply face powder or pigments. Buffer brush is great for overall application of foundation and blending to achieve the seamless finish. Tapered powder can be used to apply powder or evenly gently contour it. 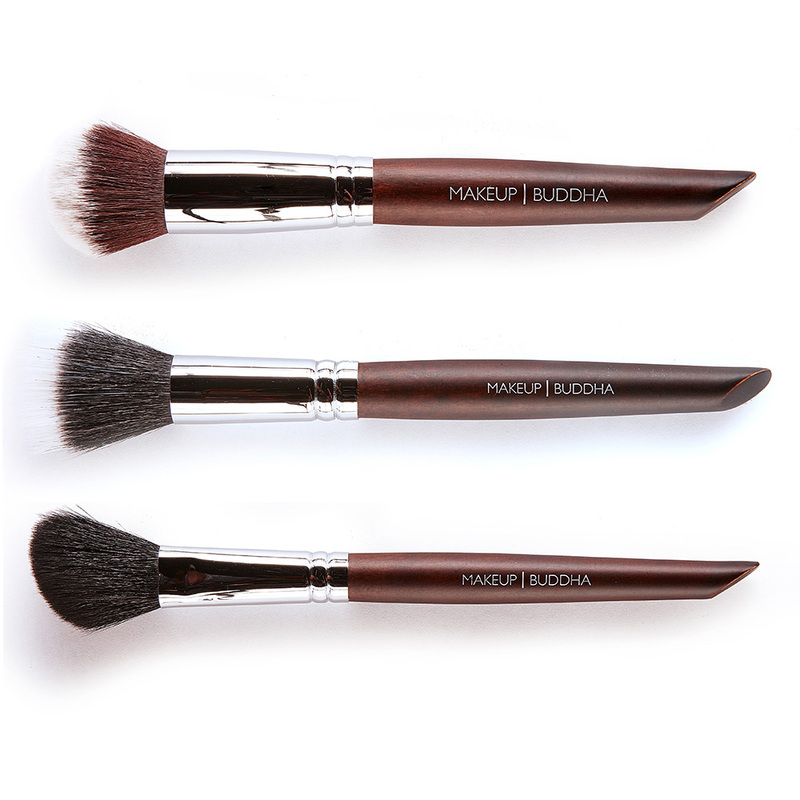 Receive a FREE Makeup Brush Bag when you order this brush set. Categories: Brush Sets, Make Up Brushes, Special Offers. Makeup Buddha Ltd, 09362746, UK registered. 36 Chester Square, Ashton-under-Lyne, Lancashire, OL6 7TW.